Mathematics, System Analysis, Parallel Processing Algorithms, Probability and Statistics. Morton B. Friedman, Professor of Civil Engineering and Engineering Mechanics and of Applied Physics and Applied Mathematics and Senior Vice Dean Emeritus at Columbia Engineering, died June 3, 2014 in Caanan, CT. A longtime Columbia Engineering faculty member and dedicated senior administrator, Professor Friedman was 86 at the time of his death. Professor Friedman joined the Engineering School in 1956, beginning a lifelong academic and professional career there that spanned seven decades. After receiving his B.S., M.S., and Eng.Sc.D. degrees from New York University, Professor Friedman began his career as a research associate at NYU. In 1956, he was appointed assistant professor in Columbia’s Department of Civil Engineering and Engineering Mechanics. In 1966, he was appointed full professor, a position he held for more than 40 years. In 1995, he was appointed Vice Dean, Senior Vice Dean in 2010, and Senior Vice Dean Emeritus in 2012. George Deodatis, chair of the Department of Civil Engineering and Engineering Mechanics, remembers Professor Friedman as the first person he met at Columbia when he arrived as a graduate student in August, 1983. At that time, Professor Friedman was the chair of the Department. During his career at Columbia, Professor Friedman founded the Division of Mathematical Methods, the precursor to the applied mathematics component of what is now the Department of Applied Physics and Applied Mathematics. 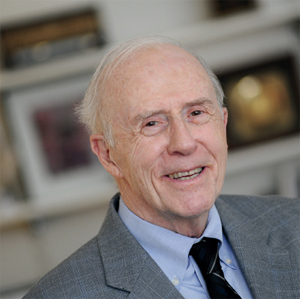 One of his earliest students in this program was Nobel Laureate Robert C. Merton BS’66. Professor Friedman specialized in the application of advanced mathematical techniques to problems in applied mechanics. He and his students were the earliest developers of the so-called boundary element methods that have found widespread applications in many engineering disciplines. As vice dean, he was in the vanguard of engineering education leaders and helped shape the curriculum for many decades, from bringing engineering education into the first-year curriculum with project-based design and discipline-specific professional courses to creating a minors program in more than 20 liberal arts subjects, and from encouraging service learning to providing undergraduate research opportunities with junior and senior faculty. From 1981 to 1995, he served as Chair of the Department of Civil Engineering and Engineering Mechanics and, from 1980 to 1991, also held the post of Associate Dean for Instruction and Research. In addition, he chaired the Executive Committee of the University Senate for several years. A former Fulbright Professor in Applied Mathematics and Field Instrumentation Scholar for the American Institute for Physics, he was recognized for his outstanding teaching by the Society of Columbia Graduates, which honored him with its Great Teacher Award in 1978. In 2012, Professor Friedman was honored for his lifelong devotion as a professor and senior vice dean at the School’s Annual Faculty Excellence Awards program, and the meeting space on the fifth floor of the S.W. Mudd Building was dedicated as the Morton B. Friedman Conference Room.